Oakland city services, from libraries to parks and tree maintenance, will be devastated unless public workers agree to substantial concessions. 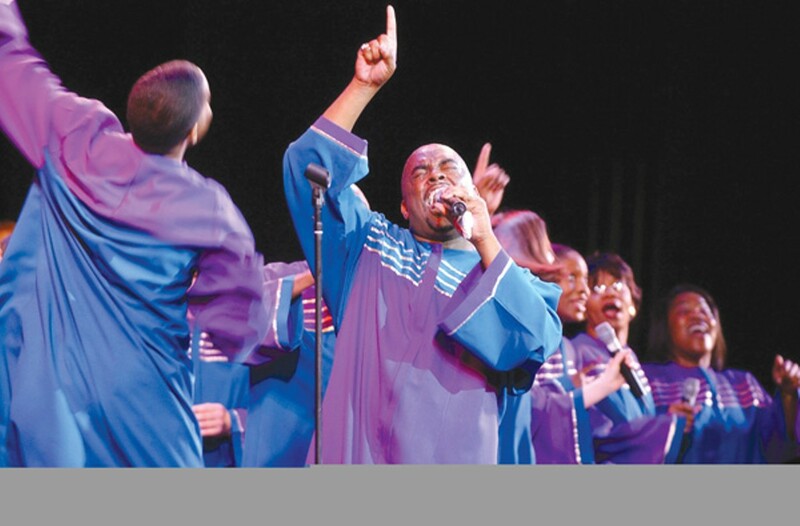 Oakland Interfaith Gospel Choir sings at a performance supported by Oakland's art grants. The Oakland Public Library system may be set for disaster in Mayor Jean Quan's worst-case budget scenario, but it's not the only fundamental quality-of-life service on the chopping block. Oakland's revered arts funding program could be devastated, too. And park maintenance and tree services, already reeling from severe reductions in 2009, are poised to be cut dramatically as the city grapples with a $58 million budget deficit. Cumulatively, the deep cuts could change the face of Oakland for years to come. Whether any of that happens, however, depends largely on closed-door negotiations with Oakland's public-employee unions during the next two weeks. Quan's administration wants the unions to agree to $28.7 million worth of annual concessions, according to the city' budget guru, Sabrina Landreth. If city workers agree, then no library branches will be closed. However, deep cuts will still be necessary to the city's arts program, park maintenance, tree services, and other services — unless the city council agrees to put an $11 million parcel tax on the fall ballot and voters approve it. For Quan to achieve the $28.7 million in employee concessions, she'll first have to convince the police and firefighters' unions to go along. "We're waiting to see what police and fire are going to do ... the other unions don't want to do anything until police and fire do their part," explained council President Larry Reid. Last year, other city unions agreed to givebacks to help balance the budget, but the police union refused. As a result, the council voted to lay off eighty cops. This year, other unions want firefighters to agree to concessions as well, since they have agreed to fewer givebacks than other city employees in the past few years. City Administrator P. Lamont Ewell and ex-City Administrator Dan Lindheim, whom Quan asked to stay on to shepherd certain projects, are currently leading the negotiations with the public-safety unions. According to Landreth, Quan is looking for $21.7 million in concessions from cops and firefighters, because the police and fire departments use a majority of the city's general fund budget. Quan and the city council want the police officers to pay 9 percent into their pensions, as other city employees do. The city also wants to be able to hire new police officers at a lower rate of pay. The reason is that statistics show that lowering the starting salaries of new Oakland police officers is the only way the city will be able to increase the number of cops it has over the long run. Oakland police officers currently receive much higher salaries and benefits than those in other large cities with similar high rates of violent crime. As result, Oakland can't afford to have as many cops as other cities do. Overall, Oakland spends about the same on policing as other similar size cities with high crime rates but has far fewer cops. An analysis by this newspaper shows that Oakland will spend about $445 on policing for each of its 390,724 residents in the current fiscal year, ending June 30. St. Louis, population 319,294, spends $405 per resident. Cleveland, population 396,815, spends $438. Baltimore, population 620,691, spends $487. And New Orleans, population 343,829, spends $318. Each of those cities also ranked among the top thirteen nationwide last year in terms of violent crime, according to the FBI's uniform crime statistics. Oakland ranked fifth overall; St. Louis ranked first. However, each of those cities has at least twice as many police officers to combat crime as Oakland does. Oakland, with 660 sworn officers, has just 1.7 cops per 1,000 people, while St. Louis has 4.2, Cleveland has 4.1, Baltimore has 3.4, and New Orleans has 4.1. Oakland, in other words, spends about the same amount of money on policing as do similar cities, yet pays its cops much higher salaries, and so has far fewer of them. According to Oakland budget statistics, the average police officer costs the city $191,390 a year in salary and benefits, including $44,200 in pension payments each year for the typical officer. "It's a big problem," said Oakland Councilwoman Rebecca Kaplan, who has been talking about the issue since last summer. "We pay our police officers too much." Over the years, the Oakland City Council went along with the police union's argument that the city needed to pay higher wages to attract recruits in part because of Oakland's crime problems. But other cities with similar crime issues are having no problem hiring police officers at considerably lower wages, Kaplan noted. Although Oakland firefighters pay 13 percent into their pensions, compared to zero that cops pay, they also cost the city plenty. Oakland spends $185,703 per year in pay and benefits for the average firefighter. But instead of asking firefighters to agree to pay even more into their pensions, the city has been talking about getting the union to ease work rules governing required staffing. The firefighters' contract, for example, requires that each engine has at least four firefighters on board. Lowering such requirements could result in substantial savings. "We're talking about millions of dollars," said Oakland City Councilman Ignacio De La Fuente. Quan declined to comment on the specifics of negotiations with police and fire, but was upbeat about the talks during an interview late last week. "They've opened up their contracts, they're negotiating in good faith," she said. "It's a positive sign." Quan has resisted criticizing police and firefighter compensation this spring. And in recent weeks, police union President Dom Arotzarena and fire union head Chuck Garcia have stopped criticizing the mayor publicly as well. In fact, neither would comment for this article.